Frustration. This is the kind of feeling you get when your MacBook is not performing the way you want it to be. It is more frustrating if your work is dependent on the performance of your computer. Before thinking of disposing your MacBook for a new one, better think again. There are a lot of awesome performance optimization softwares in the internet that can cure your problem. These are free Mac cleanup that will save you time and money. This powerful cleaning software’s latest version does not just clean up the file duplicates, caches and leftovers of uninstalled softwares, it is also an efficient tool that monitors system usage and fan speed. The Magician 1.4.8 can also scan all downloads with its anti-virus security program. Check http://magicansoft.com to download. Dubbed as the best Mac antivirus by Top Ten REVIEWS network, the software is primarily intended to optimize the performance of Mac OS X. The software is also bundled with anti-theft using Google’s Geolocation Service and efficient backup tools to ensure all important files are intact even after the cleanup procedure. Download the MacKeeper at http://mackeeper.zeobit.com now. 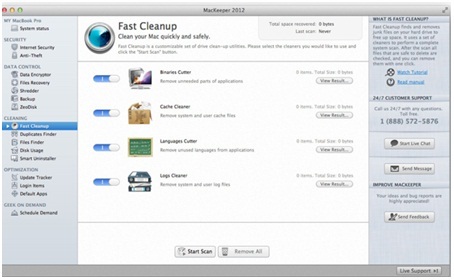 This free Mac cleanup software is simple yet useful to maintain your Mac. This awesome software can scan and clean 11 types of junks in your Mac such as caches, system log files and unwanted language files. 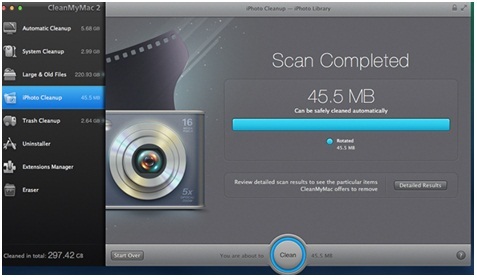 CleanMyMac also comes with an intelligent feature of scanning files that are safe to delete. Visit http://macpaw.com/cleanmymac to learn more about this simple OS X Maverick-ready software. This is another simple, easy-to-use and useful software for optimum performance of your MacBook. Its simple interface allows you to drag and drop any application on its window, at the same time, search for related files for deletion. Check the AppCleaner and download for free at http://www.freemacsoft.net/appcleaner. Supports Mac OS X 10.6 to 10.9. This popular PC cleaning software is now available for MacBooks. Although many of the useful features for PC maintenance are not available on the reduced version for Macs and is still in its development stage, the software is still very useful. 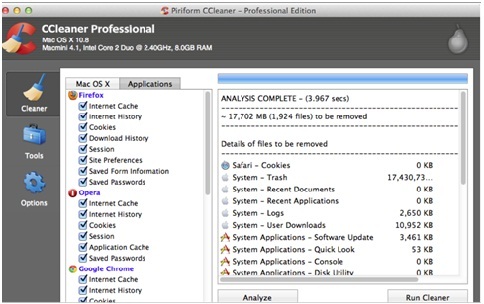 Check CCleaner free download now at http://www.piriform.com/mac/ccleaner. 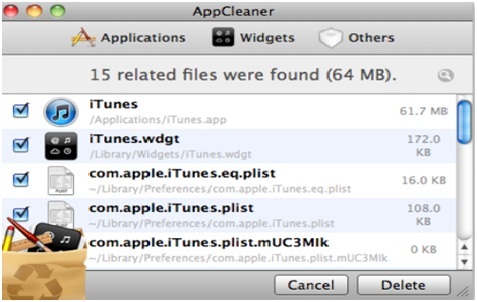 This software by Reggie Ashworth comes with something different – Orphans, a feature that allows you to clean your Mac further by searching for files that are no longer associated with other files and are probably left behind during the cleaning process.You can download a trial version at http://www.reggieashworth.com/appdelete.html. Looking for efficient utility software to quickly search and delete unwanted, gigantic files that eats up your Mac’s memory? 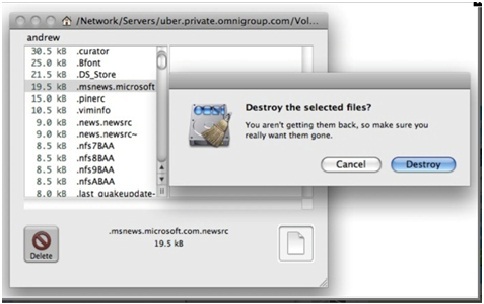 Try OmniDiskSweeper for free at http://www.omnigroup.com/more. Requires OS X v10.6.8+. Aside from scanning, deleting and uninstalling unwanted files, add-ons and programs, CleanApp come with an analyzer feature that allows you to check your folders for files that eats up your disk space. The analyzer feature can also recommend what components of the identified files are safe to remove. Get a trial version now at http://www.syniumsoftware.com/cleanapp/. 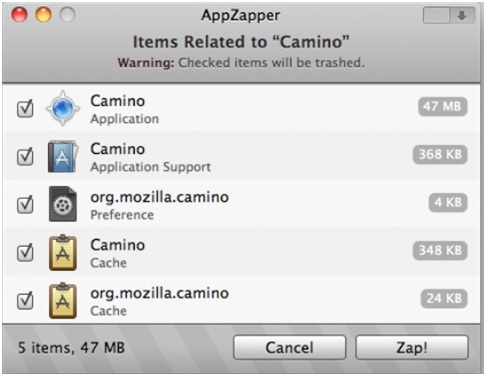 Here is a one-stop solution to optimize the performance of your Mac OS X Tiger and higher. Get a free trial at http://www.northernsoftworks.com/maverickscachecleaner.html. Keeping your MacBook healthy is a MUST for you to get the most out of it. Cleaning up at least once a month maintains your computer’s optimum speed and responsiveness. So before you start getting frustrated again with what you might presume as a BIG MacBook problem, better check out these free mac cleanup software. It may only need a bit of cleaning to have your machine working like new again. No, your Mac is not possessed; nor is it lazy. It’s just getting slow—as simple as that. Over time, all Macs’ performance slowdown. This is due to a number of factors with chief culprits being the fragmented file components and the useless programs not totally deleted. Although there might be several other reasons why your Mac is running slow, these two alone will give you a major headache. But bear in mind that you (and your Mac) need not suffer. Speed4Mac is the solution to your MAC running slow (more on this later). So what’s a healthy Mac like? That basically gives you a picture of a Mac that is running in tip-top shape. But it’s not your fault if ever your Mac starts showing signs of slowing down. However, it would be a Mac owner’s greatest failure to ignore these “slowing down” symptoms. So what causes a Mac to move at a snail’s pace? Utilities, tools and third party applications that are totally useless to you may have latched onto your system without you knowing it. Excessive downloading of programs or applications and putting them all in Start-up. If you overload your Start-up it will definitely slow down processing speeds. Programs and applications that were not properly deleted will still take up space in the hard drive. The more hard drive real estate is taken, the slower your Mac will be. Filling your hard drive to the brim can also cause performance issues. Miscellaneous useless files like caches and cookies can take up a lot of space and, again, slow down processes. Most of these problems are due to those unwanted files and programs taking up a lot of space in your Mac’s virtual memory. The solution to your Mac’s speed problems can be fixed with Speed4Mac. Now you don’t have to take your Mac to the iStore and let a technician work on it. You can work on it yourself with the help of Speed4Mac. Speed4Mac helps by properly uninstalling useless programs that are lingering in the virtual memory. So say goodbye to all those pesky and unnecessary log files, caches, junk and binaries. 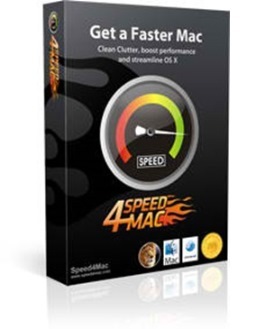 Speed4Mac will give your Mac a holistic cleansing. 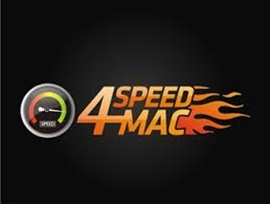 Let Speed4Mac be your partner towards a faster and more efficient Mac. Want to know more about Speed4Mac — a solution for your Mac running slow? You can get more information here. 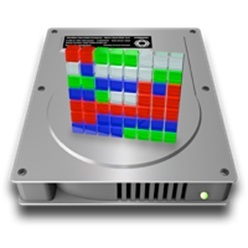 Are you looking for tips on how to safely defrag your MAC? Defragging is common in old PCs. Though not associated with Macs, defragging has now become a need if your machine is more than a year old. What defragging does is to optimize the way component files are arranged; thereby, making their access quicker and more efficient. Once defragging is done, it generally improves your Mac’s performance. Never defrag solid state drives. Defragging only works on traditional hard drives. The Solid State Drive works differently from a regular hard drive because it does not contain any mechanical component. Defragging a solid state drive serves no benefit – it will even decrease its lifespan. So check what type of drive your Mac has before proceeding. Know when to defrag. OS X optimizes file storage by doing an automatic defragging for small files. So if your Mac is fairly new then there is no need to defrag. However if your Mac is more than a year old, then maybe a defragging is needed. Check your computer’s performance and assess if normal processing has slowed down. Check your files. OS X can’t do much if you have big files (around 20 MB) such as videos and media files. If you have a lot of these files, then you definitely need to defrag your Mac if it starts slowing down. Know if defragging is the right solution. 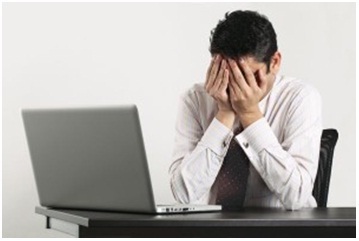 Sometimes the cause of the lag may not be due to compression issues and defragging may not be the solution you need. What you can do is to check online forums and search for thread of conversation that has symptoms similar to yours. Who knows, a system cleaning software could be the solution you are looking for and not defragging. Download defragging software online. There are a number of good options out there for download. A good defragging tool is iDefrag (http://www.coriolis-systems.com/iDefrag.php) which dutifully handles defragging duties for your hard drive well enough. Another wonderful all-in-one tool is Prosoft’s Drive Genius (http://www.prosofteng.com/products/drive_genius.php). Aside from defragging your drive, it also does a general system maintenance as well. Unortunately, these tools are not free. iDefrag costs $30.95 while Drive Genius goes for a whopping $99. Back up your drive. If you defrag your hard drive, the components of the file get moved around. What it does is to efficiently arrange the components of these files so that it can be accessed more efficiently. However with all the movements going on, it may cause you to lose some of these files. So before you defrag, back up all data in an external drive. Close all open applications. You need all the processing speed available. So closeyou’re your applications so to speed up the process of defragging. Be patient with tip #7. Tip #7 is highly effective but can take really long. So don’t despair — just wait until it’s done. Save your dollars and defrag your drive yourself. You don’t need those expensive downloads when you can do the defragging yourself using the “nuke and pave” system. You simply back up your data on an external drive, then reformat your Mac’s internal drive. After which, you clone everything back. That’s it. Do this annually. Once you start defragging, there is no turning back. But you don’t need to do this regularly though. An annual defragging is enough. 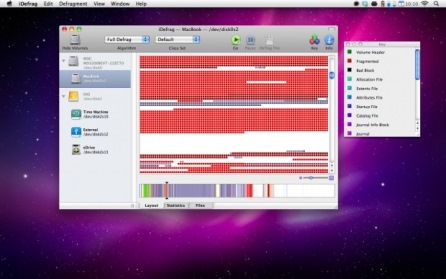 These tips can help you defrag mac easily and efficiently. Without proper communication, relationships won’t work. This is also true with your job or business-working place. Without proper communication the productivity of a certain company can be jeopardized. The people within that company or workplace will not be organized if there’s failure in communication because they will not be focused on hitting one goal. Communication brings everyone together and unites everyone to hit one target and achieve a certain goal. So a business does need a sort of IM client to bring in everyone together at times, and host live video conferences. Well luckily, there is a solution, which is called OoVoO. VoIP is a technology that allows people to communicate online easier. This lets people have video chats and even video conferences with each other. OoVoo is one of the best VoIP programs that can offer you the features needed to make excellent communication in businesses, and even between your friends group. ooVoo is compatible with Mac, Windows and Android for now. If you are a mac user, check out this ooVoo information site to get the most out of ooVoo on your Apple computer. play a great role in enhancing the communications in your business or workplace. It allows you to have conferences over 12 people all at the same time. OoVoo has amazing features that will surely boost the communications in your work area. This app lets you host video conferences, record it, and save it to your hard disk. There are no limits as to how much video you can save in your hard drive. But you can convert the saved file into FLV file as this process allows you to free more disk space for your hard drive. OoVoo allows you to customize the background of your video chat. This enhances you video conference experience. It can make your video look more formal and executive or casual and hip. With this feature, communications will improve, which in turn increases your sales. OoVoo for MacBook is best for the Mac users who want to communicate with their business partners, co-workers, friends, and families. OoVoo can give you the best video quality as you conduct video conferences with important people. You can look for this app online and download it, if you want to hasten your communication tasks. Compressing large files into several small files or into a big compressed file is never a difficult task for users even before because of the availability of a great software which had been very reliable to use over a long number of years. WinZip is probably the first and the oldest shareware, file archiver and compressor widely used by most users of MS Windows operating system and is even gaining more popularity with the increasing number of Mac users today. The demand for file compression utility tools has been growing because of the rapid development of the new and advanced programs and different files, which is why many software companies have also published their own version of compression programs. To date, it is not surprising that there are lots of file archiver and compressor programs which are made available. These programs even extended support to several tasks which are beyond the responsibility of a simple file archiver program, such as checking contents and virus scanning, downsizing images and more. One of the top competitors of the popular WinZip program is the 7Zip bringing 7Zip format into the computer industry. To make a simple comparison about the key features of the two programs that you’ll consider running on your Mac, this article will give you a brief review between Winzip Vs. 7Zip. Let us start with the features of the WinZip program. Obviously, WinZip creates an archive of Zip file format by default but it also has support in various levels for other archive formats like RAR, Tar, Cab, ISO and many others. It provides you an integrated FTP uploading option, keeps you an automatic backup of important files, protects files by encrypting them in the zipping process, and even lets you share these files with other people on Facebook through ZipShare. It comes with necessary features that will allow you to perform a number of tasks needed in file archiving. What is also notable about it is its WinZip Wizard that will guide you with different easy steps to follow in zipping and unzipping files making it easier for you all the time. On the other hand, the other program with the same nature, 7Zip includes features that will function well in terms of file archiving and compressing. It comes with a multi-volume support, Outlook-integration and a password protection. It supports the 7Z format which is an efficient compression format and also has support to many other file formats. It has the ability to create self-extracting archives. However, some extra plugins are still needed in order for it to operate. 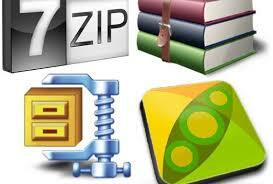 7Zip also offers you advanced features and easy to use tools. What’s good about this program as compared to other utilities available like WinZip and WinRar is the fact that it is absolutely free to download. Now, if you are going to decide which one is better in all aspects, it would be Winzip Registry Repair with richer features. But if you are looking for something free to use, you’ll get 7Zip. Nevertheless, either of the two compression utilities would still be of great help to you. Nowadays, adolescents consume much time with their gadgets brought by modern technology. With passionate magnitude, they upload the most updated photos on Instagram or Facebook, marching about like paparazzi, holding up their phones to flash and catch every little change of their lives unraveling. Here at aedsys.com, discover fresh knowledge in making use of modern technology and to boost knowing, urge cooperation, and boost person’s involvement. We’re a cutting-edge, electronically familiarized source of news about technology whose scope is quickly increasing. Our goal is to recognize essential brand-new innovations; decoding their functional effect and exposing just how they will certainly transform our lives. Also, you can find here technology-related innovation, updates, occasions, chatter and exactly what’s occurring in this fast-changing globe. Each day, we supply a smart, lucid, and reliable filter for the frustrating flood of info concerning innovation. So, what makes you doubt in browsing this site? 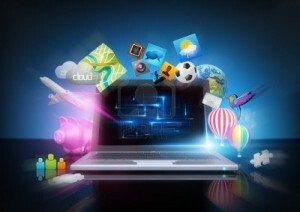 Try to discover more and boost your knowledge about the current trends of technology!